Definition at line 3871 of file CCopasiXMLParser.h. Definition at line 3878 of file CCopasiXMLParser.h. 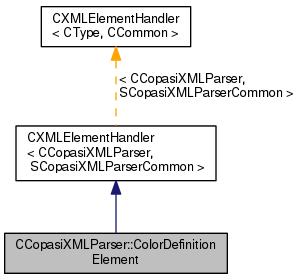 Definition at line 11180 of file CCopasiXMLParser.cpp. 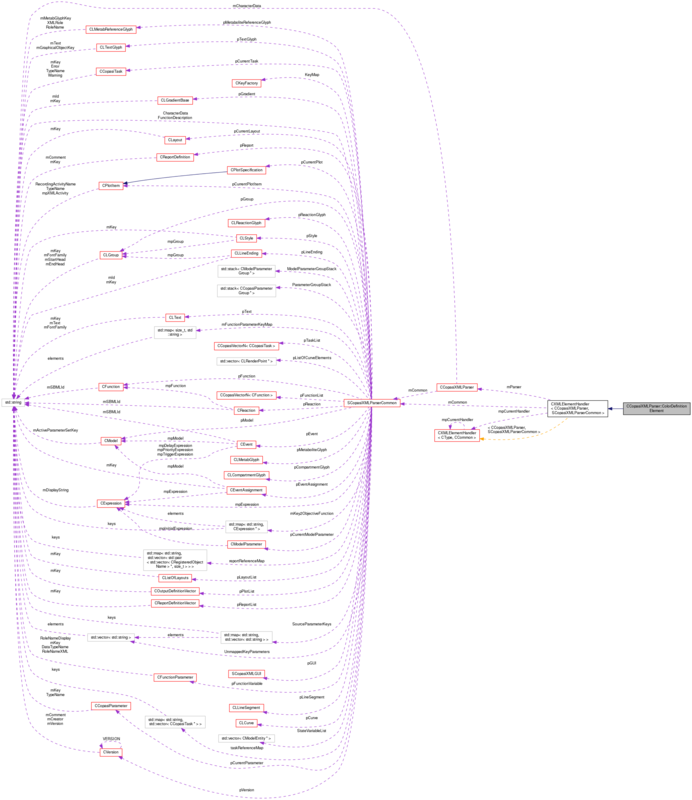 Definition at line 11185 of file CCopasiXMLParser.cpp. Definition at line 11228 of file CCopasiXMLParser.cpp. Definition at line 11190 of file CCopasiXMLParser.cpp. References CLRenderInformationBase::addColorDefinition(), CCopasiMessage::EXCEPTION, CCopasiXMLParser::mCommon, MCXML, CExpatTemplate< CExpat >::mParser, SCopasiXMLParserCommon::pRenderInformation, CLColorDefinition::setColorValue(), CLColorDefinition::setId(), and UNKNOWN_ELEMENT.